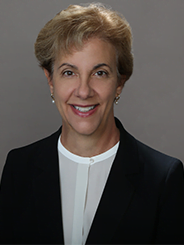 The Institute for Advanced Clinical Trials for Children (I-ACT for Children) is pleased to announce that Elizabeth Garofalo, MD has joined the Institute as a Member of its Board of Directors. Dr. Garofalo was previously the Senior Vice President at Novartis Pharmaceuticals Corporation with a > 25-year career in drug development. She has participated in and published on topics including pediatric clinical trials and pediatric neurologic care. She served as a board member for the Epilepsy Foundation of Michigan for 5 years as well as on the board of Emerson School, a K-8 private school in Ann Arbor. She currently serves a member of the Parent Advisory Committee and Student Mentor at Bard College.